Because they are knowledgeable and more experienced in learning. What is your bad moment in this semester? Do you like group work? You think you can success by learning alone? No, sometimes i need friends and teacher. So, you think teacher has helped you so far? Thank you to all my teachers especially my late Kindergarten teacher who taught me how to read and write. 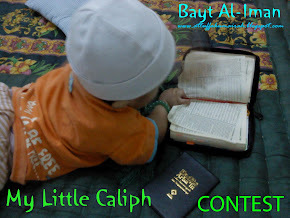 Also my mother whom until now corrects and teaches me to read Al-Quran. And of course, Prophet Muhammad p.b.u.h ( the greatest teacher at all time) Oh, Allah pays them with grand rewards, rank them among good people and place them at Jannah. AMIN..surely, who am i without a teacher.